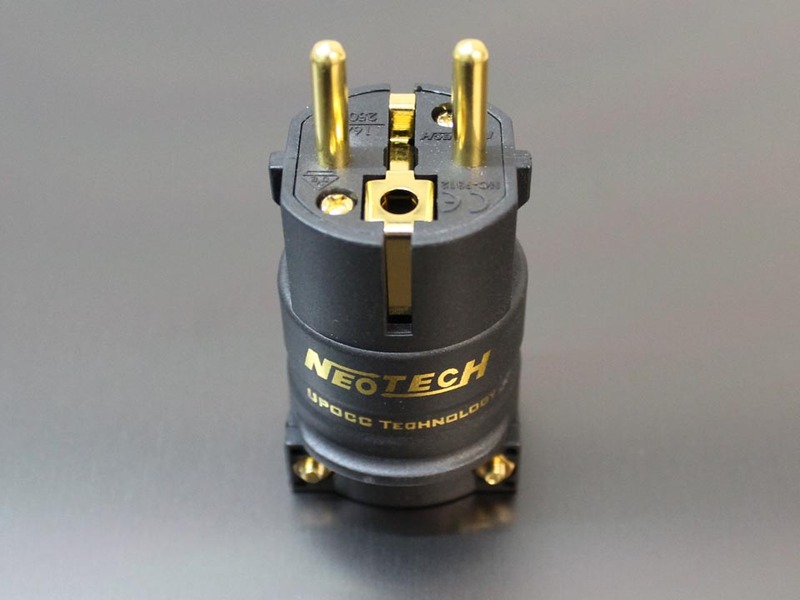 Neotech NC-P312, SCHUKO power plug. Constructed from pure UP-OCC Copper. The contacts are plated with 24K Gold, and cryogenically treated. 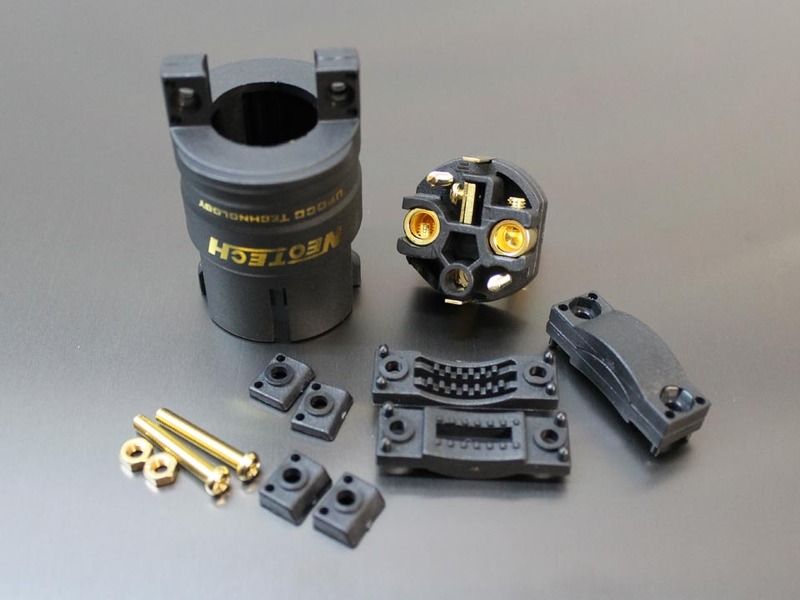 The cable to housing clamping mechanism along with 3 pairs of different sized inserts facilitate the smallest cables all the way up to 0.935" (23.75mm) in diameter. 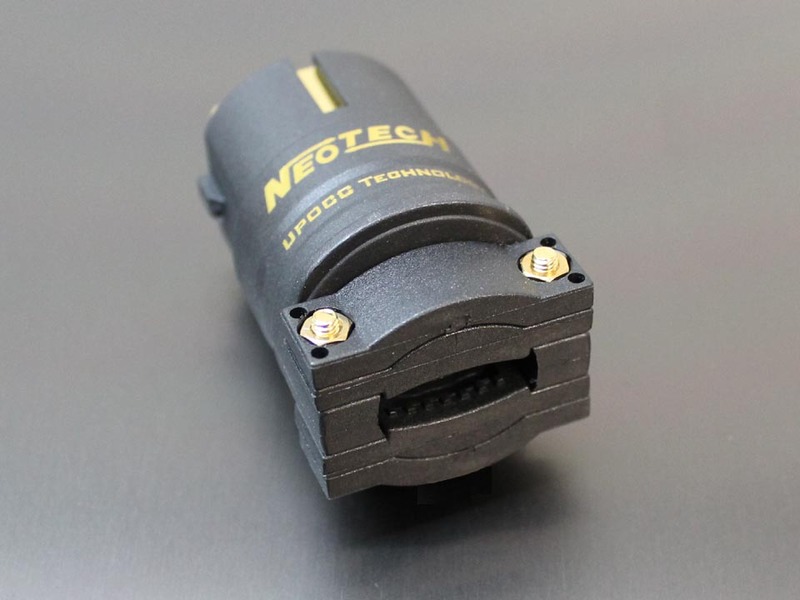 This 15A connector is specified to accept 6+awg (5.4mm). Price to performance makes this AC plug a top contender!